Why Do Labrador Retrievers Have Specific Nutrition and Food Needs? 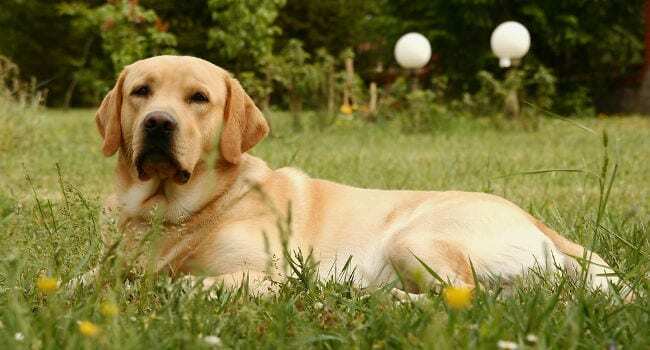 Do Labrador Retrievers Tend to Gain Weight? Do Labrador Retrievers Have Allergies and Sensitivities? How Can You Tell if Your Labrador Has Food Allergies? Is Dry Kibble Good for My Labrador Retriever? Can My Labrador Retriever Eat Human "Superfoods"? What Are Ways to Keep My Labrador Healthy? If you have a Labrador Retriever, guess what? America loves this breed as much as you do. Labs are America's favorite dog according to the American Kennel Club. Just like people, Labs have unique nutritional needs. Lab puppies can grow too fast resulting in future health problems, and adult Labs can tend to be inactive and gain too much weight. 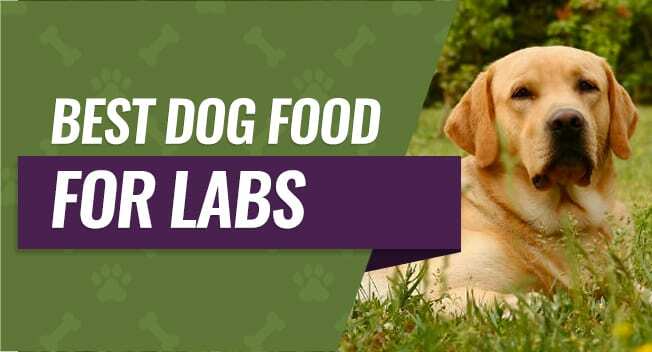 Finding the best dog food for Labs depends on your dog's age, level of activity, overall health, and any sensitivities or allergies they may have. 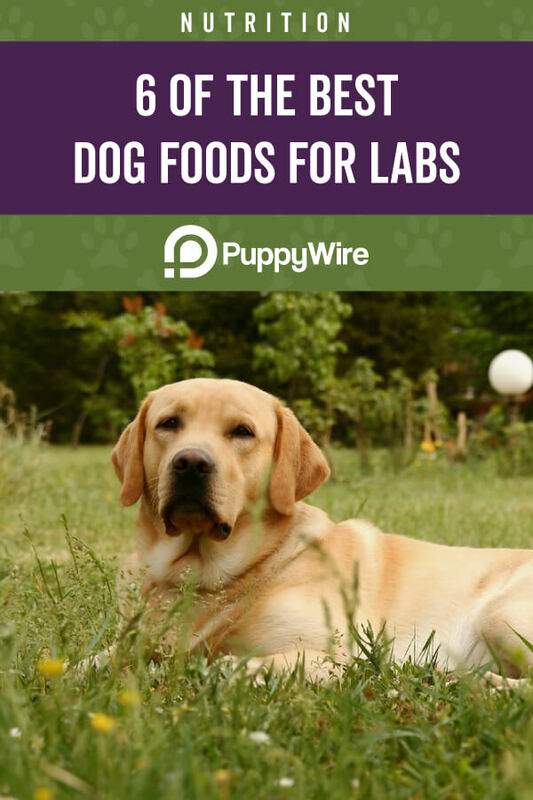 We've put together information you need to find the food that is the best fit for your Labrador Retriever. Every breed has its own body type, activity level, and nutritional needs. Labs are no exception. Labrador Retrievers are medium to large dogs that are part of the AKC's Sporting Group. Adult males will average 65-80 pounds and females will average 55-70 pounds when they are fully-grown. Labs are enthusiastic, energetic, and require lots of physical activity. They enjoy playing frisbee, go fetch, and swimming, and need food that supports muscle and bone heath. Their eyes are large and bright, and their coats are dense. Whether their color is yellow, black, or chocolate, Labs need nutrition to keep their skin, eyes, and fur healthy. Even though they are very active, Labrador Retrievers can put on weight. Owners should take care to choose the right food for their dog's age and activity level. Labs can gain weight easily because of their genetic heritage. They were originally bred in Newfoundland on Canada's north Atlantic Coast, not Labrador. Labrador Retrievers' dense coat, "otter tail," and sturdy frame helped them swim and hunt during cold Canadian weather. There was little chance the original hunting and working Labs would get too much food or be inactive. Labrador puppies grow so fast that they may do better on adult food. Watch your Lab puppy's weight and growth chart and feed appropriately to prevent obesity. Do you love to give your Lab treats? Don't forget to take the nutrition and calories in treats into account. Labradors love to eat. They may easily get into the trash and will be eager to eat what you're having. They may even try to eat your shoes. The AKC reports that studies have been shown that lean Labs live longer than heavier ones, so it's important to keep an eye on everything your pup eats from dog treats to human food. Labs aren't a breed known for a lot of food sensitivities and allergies, but these problems are growing more common among all breeds. Allergies can show up in puppies as young as four months old. The most common food allergies in dogs are similar to those found in humans. Corn, soy, and wheat are common grain allergies and sensitivities. Animal proteins including beef, chicken, fish, and eggs have also caused some allergic reactions in some dogs. Red, itchy mouth and muzzle. Frequent and loose stools (including diarrhea). Skin irritation or skin infections. Rice can be used in some formulas because it is more digestible than corn, wheat, and soy. Sweet potatoes are another digestible ingredient that causes fewer sensitivities and allergies. Dry kibble is the most common food for dogs. According to the AKC, commercial kibble is tested and ingredients are identified so owners can decide if it offers good nutrition for their dog. Dogs aren't strict carnivores (meat eaters). They need a variety of ingredients to provide the macro-nutrients they need. Look for dry kibble that has a complete nutritional profile. Ingredients like peas and sweet potatoes contain nutrients that are safe and healthy for your dog to eat. We've heard a lot about "superfoods" for humans like blueberries, kale, and salmon. These foods contain nutrients that benefit our heart, skin, and overall health. Cranberries are good for urinary health and contain vitamins C, E, and K.
Elbow and hip dysplasia (joint disorders). Eye problems (progressive retinal atrophy). Bloat or twisted stomach (Veterinary name: Gastric dilation-volvulus or GDV). Labrador Retrievers also love to eat and can easily gain too much weight. Obesity is one of the biggest health challenges for Labs and their owners. The "Show Dog Diet": feed a normal meal in the morning and give a meal of mostly green beans in the evening. Exercise every day with your Lab (jogging, walking, and swimming). Blue Buffalo's Life Protection formula for large adult dogs has "LifeSource Bits." These ingredients are a blend of vitamins, minerals, and antioxidants chosen by animal nutritionists. The chicken and brown rice formula of Blue Buffalo's Life Protection formula also contains glucosamine and chondroitin. These ingredients help support your Lab's joint and bone health. Chicken is the first ingredient. It comes from deboned chicken and chicken meal and is enriched with L-Carnitine. Blue Buffalo's formula doesn't include any chicken by-products, artificial flavors, or preservatives. It also doesn't include soy, wheat or corn. If your Lab weighs between 50 and 70 pounds, you should feed them 3 1/4 to 4 1/4 cups a day of this type of food. Add a 1/4 cup for each additional 10 pounds your Lab weighs. Owners with Labs that had experienced allergic problems with other foods said their dogs improved eating the Blue Buffalo kibble. Some owners with dogs eating less-healthy food successfully switched their dogs to Blue Buffalo. Blue Buffalo identifies ingredients very clearly and includes vitamins, minerals, and amino acids for nutrition. Most Labs seem to love the taste and texture of the food. The formula promoted healthy weight, digestion, and allergy problems in most dogs. Some dogs experienced stomach upsets and diarrhea after eating this food. Owners noted inconsistency in kibble size and quality in different packages. Some dogs don't like the LifeSource Bit taste or texture. 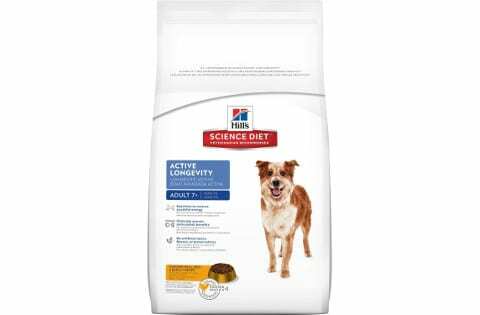 Hill's Science Diet offers several flavors of nutritionally-balanced natural food for senior dogs. Dogs age faster than humans so if your Lab is over age 7 they are a "senior dog." Hill's Science Diet's Senior formula is all-natural and contains antioxidants that will benefit senior dogs. The food has phytonutrients, L-Carnitine and essential fatty acids. Protein choices include chicken and beef. Choose between rice-only, rice and barley, and vegetables as additional flavors. Senior dogs can slow down mentally as well as physically. Science Diet's formula includes ingredients that boost alertness and desire to play. Science Diet Senior food has a good balance of 19.6% protein and 14.9% fat. Owners of older Labs that were losing their interest in running and playing said their dogs perked up after being fed Science Diet's Senior formula. Dogs that were slowing down as they approached "senior" age also showed more activity and mobility. The food does contain chicken, egg, and some corn. If your dog is allergic then the food will not be suitable for them. Many owners said their senior Labs got more active after switching to Science Diet. Nutrition is balanced and the product is consistent. Most dogs seem to enjoy the taste but aren't inclined to overeat. The food contains some common allergens. The kibble is too hard for some dogs. A few dogs don't like the taste. 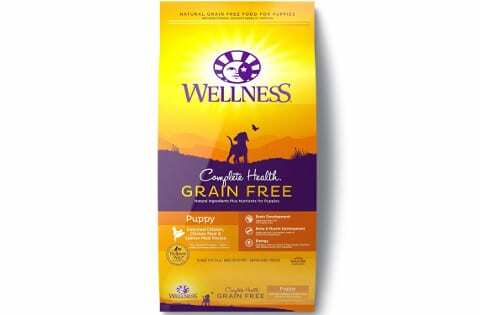 Wellness offers grain-free puppy food that has no fillers, by-products, or preservatives. A puppy's delicate immune system is still developing so grain-free, preservative-free food is essential. The formula is also balanced between protein, fat, and healthy carbs like sweet potatoes, apples, and blueberries. Vitamins and micronutrients are also designed to support growing puppy bones and muscles. With their growing digestive systems, puppies can't process protein as well as adult dogs. As a result, the puppy can have gas and diarrhea with a high-protein food. The protein-fat-carb ratios in Wellness Complete Health's formula are easy on puppy digestion. The formula is balanced between 26.0% protein, 12% fat, and 5.25% fiber. Some veterinarians recommend feeding Lab puppies adult food because the fat content is too high in some puppy formulas. This isn't the case with Wellness' formula. Trainers and owners have fed multiple Labrador puppies this formula and report active, happy dogs. Many owners reported their dogs loved the taste, but a few said their dogs didn't like the food. The food is grain-free and has a balanced protein-to-fat ratio. Many puppies seem to enjoy the taste. No artificial flavors, by-products, or preservatives. Some puppies had allergic reactions to the food. Some owners noticed quality variations between different bags of food. Some puppies didn't like the food. Active dogs need the same level of nutrition as active athletes. With 30% protein from beef, chicken and pork and 20% crude fat, Victor's Super Premium high protein food is a good choice for Labradors that hunt or are extremely active. Victor's food contains guaranteed amounts of Omega 3 and 6 fatty acids and Vitamin E. The food isn't grain free but it is gluten free. The food also contains calcium. It has a good ratio of calcium to phosphorus for bone and joint health. Owners of performance and hunting dogs report their dogs love the taste of the food. 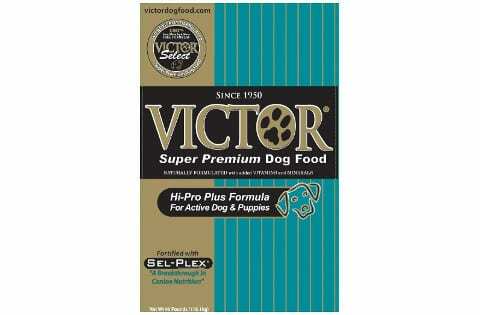 Labs of between 50 and 70 pounds should eat 3 to 3 3/4 cups of Victor's Hi-Pro Plus Formula a day. All-natural non-GMO ingredients and high protein formula. Guaranteed essential fatty acids to maintain muscle health. Most Labs seem to like the taste. The food price goes up and down. Some owners reported their dogs shed more than usual after switching to the food. The high protein and fat formula is only suitable for very active dogs. Labs can gain too much weight easily and Wellness Core's Grain Free formula can help them reduce their weight. The brand makes turkey and chicken and ocean whitefish, herring and salmon grain-free flavors. Grains can lead to allergic reactions and food sensitivities. They can also lead to unwanted weight gain, which is why a grain-free formula helps dogs to lose weight. A wild game option in Wellness Core's grain free line can also contribute to weight loss. Choosing this reduced fat, higher protein formula can also help maintain a healthy weight. Older, overweight Labs successfully lost weight and gained energy from eating this food. Dogs fed this food showed improved digestion, energy, and brighter eyes and shinier coats. Premium formula with quality protein and low fat. All-natural formula avoids additives and fillers that lead to weight gain. Balanced nutrition contributes to safe weight loss. The food contains Green Tea Extract which can be too stimulating for some dogs. The food is somewhat expensive. The most common sources of allergies in dogs are wheat, corn, soy, and dairy. Other allergens can include beef and chicken. 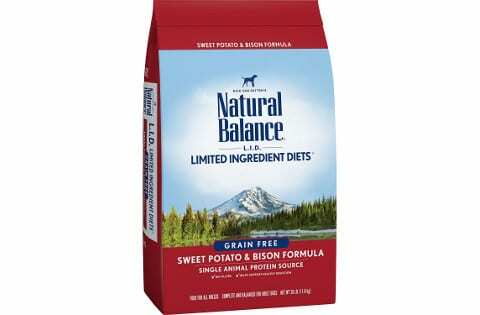 Natural Balance's Limited Ingredient Diet (L.I.D.) food doesn't contain any of these items. Bison is a high-protein alternative to beef. The food also uses sweet potatoes, which are a high-nutrition, low-allergen, digestible food. Using a single protein source, bison, also reduces the potential for an allergic reaction. This food contains no artificial colors and flavors. Natural Balance conducts safety tests with microbiologists, veterinarians, and chemists. The food's balance of 20% protein and 10% fat is nutritious and healthy for most Labradors. The formula also has Omega 3 and Omega 6 fatty acids. Dogs with skin allergies responded well to Natural Balance's formula. 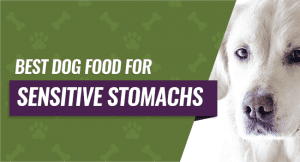 Dogs with severe digestive problems also improved after being switched to this food. Dog owners reported excellent results with less digestive and skin allergies. Limited ingredients help owners to identify allergy issues. Picky eaters loved the taste. Some owners noticed quality variations between bags of food. A few dogs don't like the taste and texture. Unless your Labrador Retriever is an extremely active working dog or has other special needs, they don't need high-protein food. Considering the tendency for Labradors to put on weight, they also don't need to eat foods that are high in fat. Even though Labs don't have a lot of allergy problems as compared to some other breeds, the high-allergy grains like wheat and corn are high in calories. There are many dog foods which don't rely on these high-calorie ingredients. Blue Buffalo's Life Protection Formula has a good nutritional balance between protein and fat. Most Lab owners reported their dogs liked the taste and digested the food well with no allergy problems. It has glucosamine and chondroitin to support strong joints and bones. It also has vitamins, minerals, and antioxidants added directly into the food. Unless your Lab has special needs, our choice for the best food for Labs is Blue Buffalo's Life Protection Formula Natural Adult Dry Dog Food.